Good Housekeeping took on the onerous task of taste testing numerous bottles of bubbly and the results are as follows. For shopping locally to Wallingford and Didcot it deemed the Waitrose Champagne `Elegant, round & fruity champagne` Round and fruity with gentle toasty notes, and a zing from the Chardonnay. Fantastic value and perfect as a celebratory aperitif. It was also a Bronze Medal Winner in the Champagne and Sparkling World Championships 2014 at just under £20 a bottle. Tesco are selling Louis Delaunay Champagne Brut is £8 per bottle until Tue the 2nd Dec. At full price this bottle is £25.99 but it`s often reduced to £13. This is the first time we`ve seen it at £8 though, so it`s a corking deal if you`re planning on stocking up for Christmas. It`s available online and in store if available. However on writing this article it was unavailable online and the local store in Didcot. Veuve Monsigny Champagne Brut is currently on offer at £9.99 a bottle at Aldi, soon to be opening up the road in Didcot. Usually this bottle is £11.99. One of the more affordable bottles in the lineup, with many of the Champagnes clearing the £30 mark. 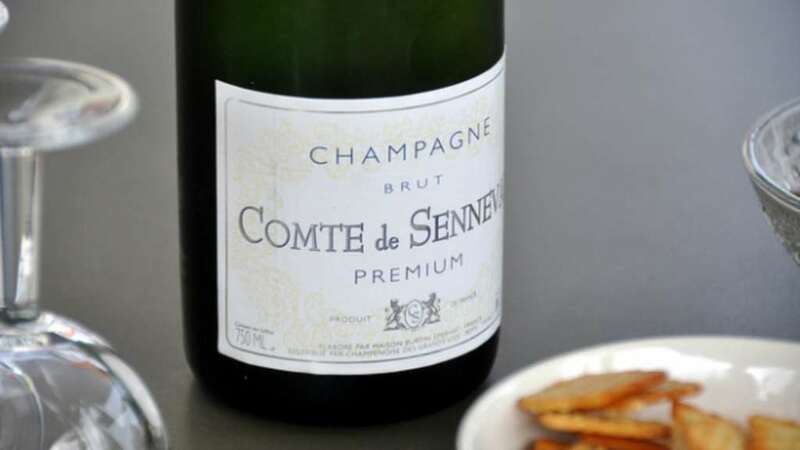 However, for the cheapest, look no further than Lidl in nearby Oxford whose £11.99 Comte de Senneval Brut Champagne is reportedly selling in bulk. Other supermarkets didn`t fare as well, though, with offerings from Sainsbury`s and Morrisons both failing to hit the target, despite costing nearly as much as the winning Waitrose wine.